GamesFinder Search is a browser extension allowing you to search for various online games. The extension adds its button on the browser and also enables you to use a quick search which is activated by typing in the letter g in the URL box and pressing the Tab key on the keyboard. In this way, searching on the website canstopplaying.com is enabled through the browser's URL box. 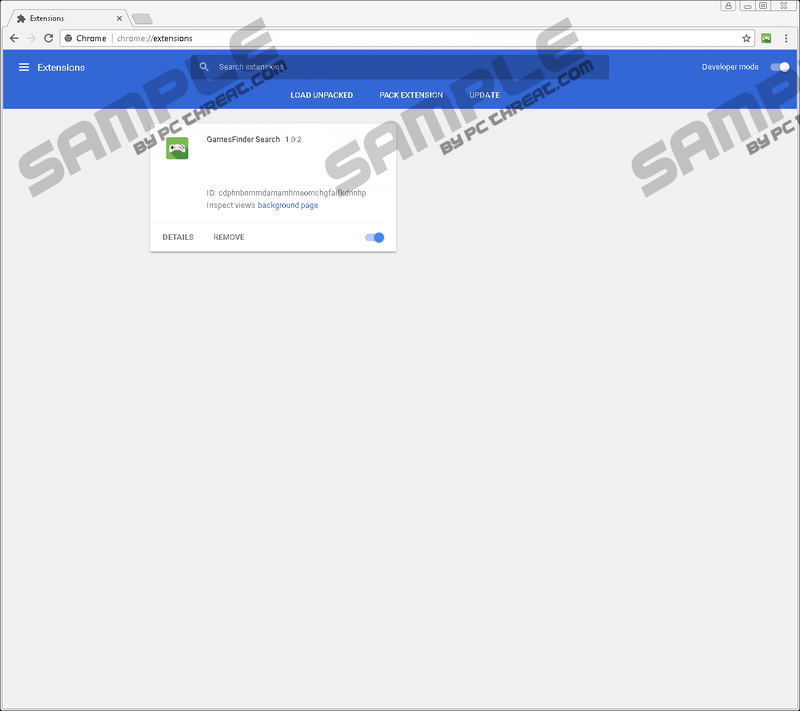 At first sight, GamesFinder Search may seem to be very handy; however, malware researchers do not think so and categorize this extension as a potentially unwanted program (PUP). 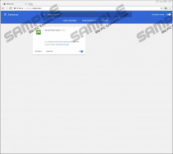 That means that this extension can be removed by certain anti-malware programs. The reasons why GamesFinder falls into the category of PUPs are very simple. The browser extension alters the browser settings so that every search term is redirected through search.myappzcenter.com/search/?category=web, records users' online selections, and accesses users' data on different websites even though those websites are not related to the extension in any way. Moreover, it may be installed on the computer unnoticed, so, if you are here because you do not know how GamesFinderSearch has changed your browser's setting, keep on ready why you should be more careful in the future when choosing programs. It is rather easy to keep PUPs at bay if you adopt some preventative measures. First, you should choose programs only from reputable developers. The fact that your preferred program has its official website does not prove its reliability. GamesFinder Search has its official website myappzcenter.com, where two other programs named MyMoviesCenter Search and MusicFinder Search are promoted. The browser extension GamesFinder Search is also available in the Chrome Web Store, but bear in mind that programs available on this website are not filtered out. Before downloading a browser extension for your Chrome browser, make sure that your selection is not blacklisted by any security application. PUPs are bundled with other programs to spread them to as many computers as possible, so you should not instinctively click the Next or Agree buttons but pay more attention to the text. Having a reputable security program would also ease the procedure because the anti-malware would check whether the file you have launched is safe. Bear in mind that the category of PUP does not include Trojan horses, ransomware, and other malicious threats that you can encounter while surfing the Net. These threats are installed surreptitiously, so you would not be notified about their attacks if no security program was running on the PC. Do not ignore the fact that the computer needs protection, because without a reputable anti-malware tool, your data can be easily compromised at any time. Below you will find very short instructions for removing GamesFinder Search by yourself. Even if you successfully get rid of this PUP, pay more attention to your online security so that you can safely browse the Internet. Click the three-dot button in the top-right corner of the screen. Click the More tools option and remove the unwanted extension. Quick & tested solution for gamesFinder Search removal.